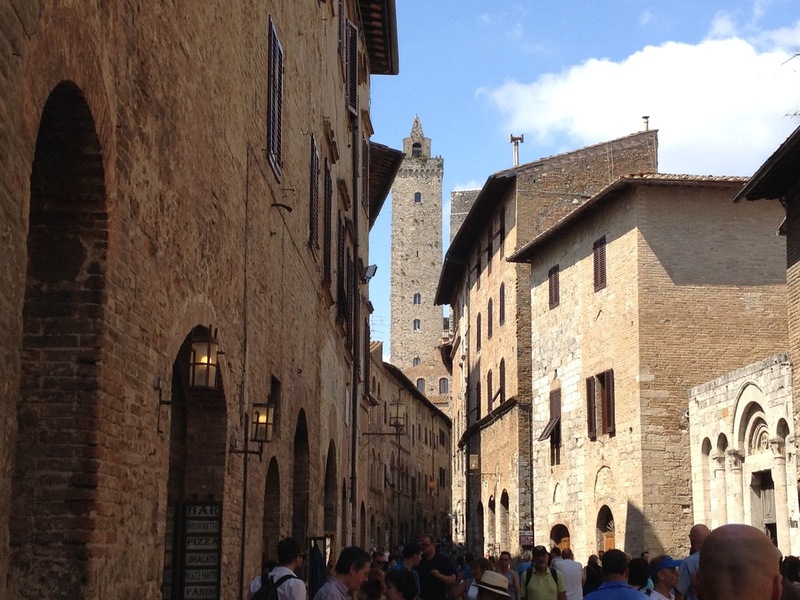 San Gimignano is, without question, one of the most picturesque Tuscan hilltop villages. 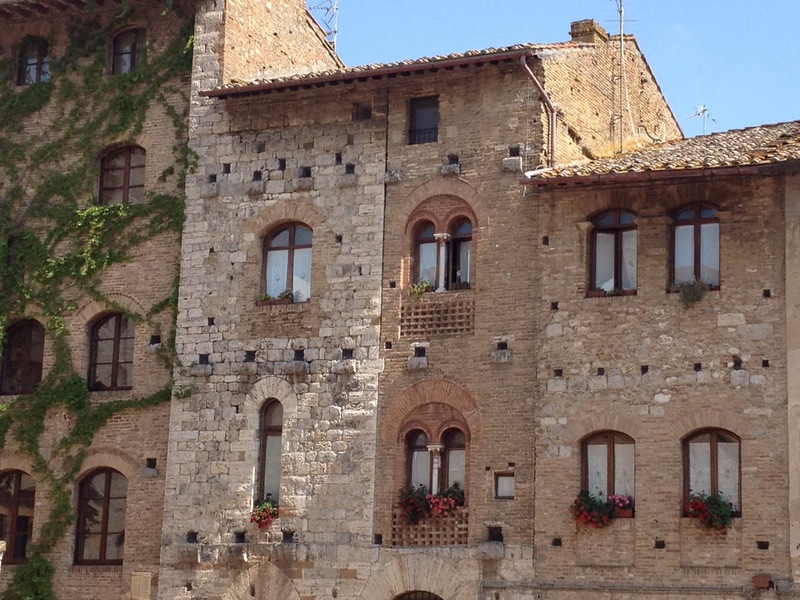 From its famed 7 towers to the cavalcade of shops and stores, there is something to charm everyone in San Gimignano. Not to be overlooked is the excellent food and wine that dominates the area. Cinghiale is especially popular and melds so well with the areas wines. Not far from the old city’s walls sprawls the DOCG region, Chianti Colli Senesi. A subzone of the broader Chianti region, the Colli Senesi – or, the Sienese Hills, are gorgeous and the splendor of their wines often overlooked at the expense of their more notable brother, Chianti Classico. Smart readers will look to Colli Senesi for exceptional value. The wines can be excellent and the main difference between the two regions can be generally summed up between differences in the soil. Over the holidays, we opened a glorius wine from the hills outside the city walls. 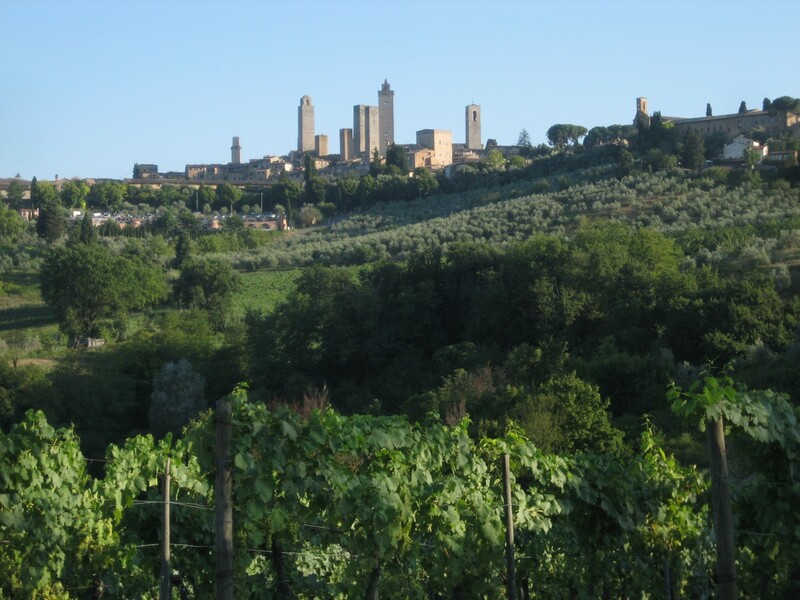 Just a short drive from San Gimignano is Campochiarenti, where the Gian Ambrogio cuvee was created. The wine is dedicated to the late father of winemaker Daniele Rosti and the Latin phrase on the label ends with the term: “Go forward in steadfast devotion”…… In that sense, the wine is traditional – comprised of 60% Sangiovese and 40% Canaiolo. 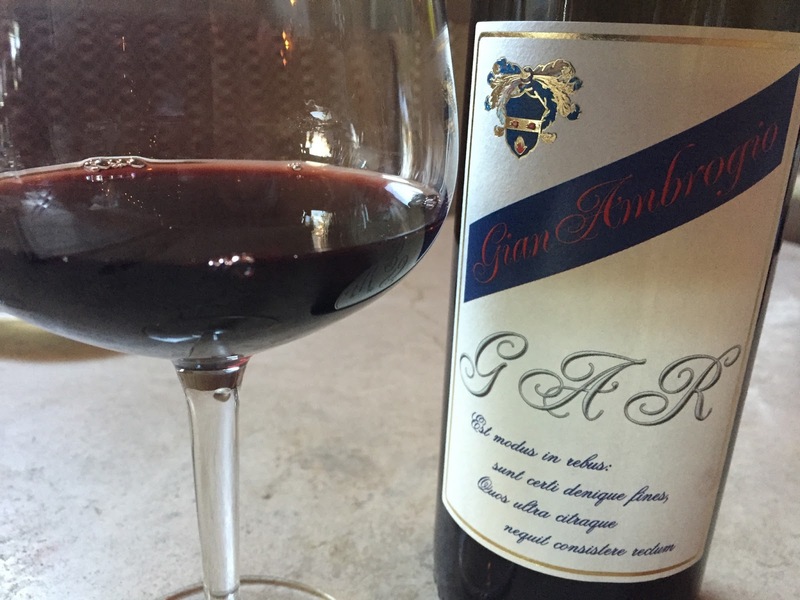 The 2008 Gian Ambrogio Rosti is deep, dark red in the glass. There is a slight fade to ruby/brick at the edge of the bowl. Like many 2008s from Tuscany, the aromatics are wonderful with crushed wild cherry, fresh flowers, new leather and fennel combining wonderfully. I love how it smells. On the palate, the wine has a full bodied core of ripe crushed fruit with spices, sweet pipe tobacco and fresh wild herbs. This stands with the best Tuscan Sangiovese I’ve had. Strictly botte aged, there is no hint of oak here; just pure Tuscan terroir with a slight trace of mineral so typical of San Gimignano whose fields are strewn with clam and oyster shells. 2008 was the first, and perhaps only, vintage for this wine. Daniele told me he’s not certain if he will ever make it again. But if he does, it will only be in the absolute best of vintages. 95 points and a great value around $30.